“If You Build It…He Will Come! News from Copey this week is a little light but we have been busy in the USA looking at various sources and resources pertaining to our pending decision to move on to Stage 2 of our plans to build a new Learning Center facility in Copey. In 1989, Kevin Costner starred in a great movie titled..“Field of Dreams”. Maybe some of you remember this movie. If you have not seen it, rent it and enjoy a good clean movie. For those who do recall the movie, you will understand why at times we are wise to act on faith and believe. It could involve building an ark, a baseball field, or a learning center. Again, we thank both Larry and Cindy, our American “dream team” living near Copey who are a significant assistance to us. We credit them for the design of the drawing we are building dreams on. Living for about 10 years in the nearby town of Santa Maria, both Larry and Cindy are very familiar with the area and the various challenges dreaming like this can entail . The drawing of this new multi-purpose center helps us all see how much this could mean to a small community eager to improve the lives of their children and the overall community they live in. On the home front, I have the lead in looking at the various pros and cons relating to the decision to build a new facility. Financial and legal related issues must be addressed appropriately. From both the logical and practical perspective, the community would benefit greatly for a variety of reasons with a new multi-purpose facility located in the heart of the community. Education would potentially improve both locally and perhaps even regionally. If a cultural resource and development center could be housed in the multi-purpose facility, citizens from distances away would travel to Copey and would likely general tourists from other countries visiting Costa Rica. Other areas of potential benefit could include the development of the agro-ecotourism route under consideration within the Copey region. Perhaps, the multi-purpose facility would become the incubator for other industries pertaining to “sustainable living”, conservation, and ecology. The possibilities are many and the potential for these ideas to become part of the overall funding strategy all need to be fully researched, understood and included in the effort to move the decision to the fund-raising stage. As “Friends of Copey”, please feel free to send in your comments and questions about our potential interest in spearheading a building project that would be life-changing for many. I would enjoy very much receiving your thoughts. Over the next couple Posts, I will update you on more of the nuts and bolts of this effort. In the near term, we have two key decisions to make; 1) to move to stage 2 or not, and b) if we decide to move forward, what is the preferred time frame. Stay very connected and remain supportive. I am certain some “Friends” believe this could result in a huge plea for financial support from “Friends”. This is not in my current plans. I believe the eventual funding success will involve major donors or funding sources for this to be achieved. So sleep easy and pray! Right on the mark as you always are. The less government…the better! 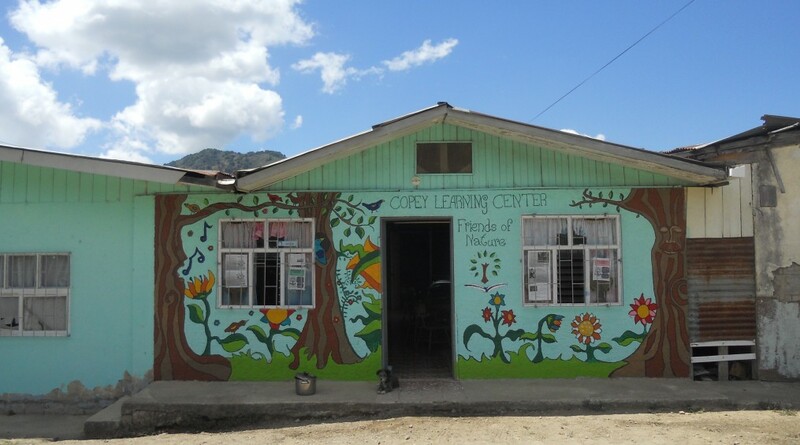 Copey Learning Center and the community are very excited for the new building. We have full support from the community. All the members of the CLC board are willing to do whatever is necessary to make our dreams come true! I believe the time is ripe for this budding endeavor to blossom!